After an elephant theme park and a family horse ranch, now Lembang has become more attractive than ever with the appearance of Floating Market! The highland town of Lembang feels like my second home, and I do think that other citizens of Bandung would feel the same way too. Back in my younger days, I’d head out here with my family to shop farm fresh vegetables with traces of dew that you can still see and of course, for the fresh milk and grilled sticky rice with the chili peanut sauce as a snack. 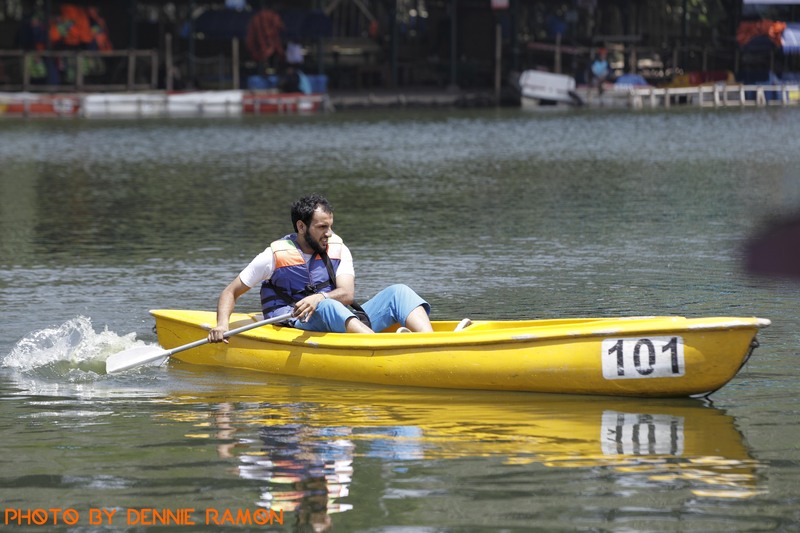 Lembang is simply the place for a family day out. It’s pretty much like what the people of Malang would think about Batu, but without the famous Jatim Park zoo. Back then, the charm of Lembang was because of its role as a hub for tourists heading for Mount Tangkubanperahu, Ciater, or Maribaya. 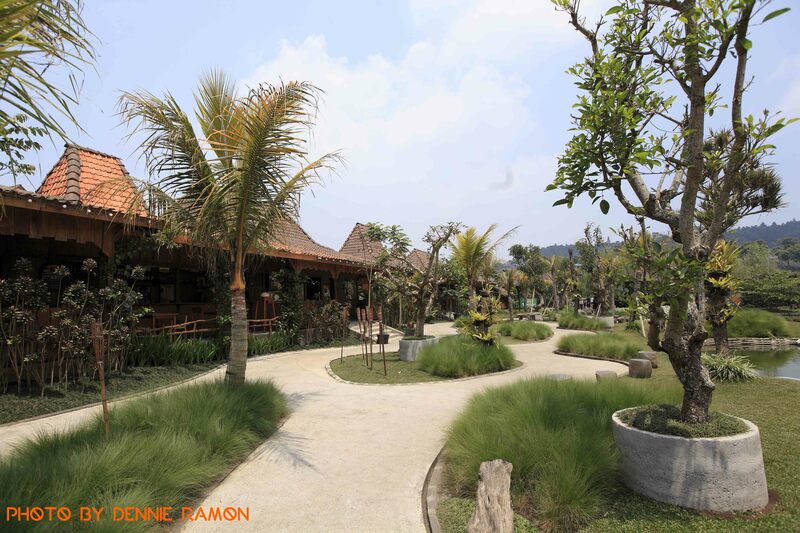 Lembang has what families are looking for in weekends and it has since become the home for theme parks and resorts. Certainly when talking about the most current, it should be about Floating Market Lembang. At a glance, Floating Market Lembang is more like a park with recreational amenities rather than real floating markets upon Mekong River or in Kalimantan. There are acres of open space with artificial lakes, trees, flowers, cabanas for rent, walkways, restaurants and other attractions. The term ‘floating market’ is actually dedicated for its food court section situated by an artificial lake used for family recreational sports. Here you will see the lining up of small boats selling street food of many kinds from lumpia basah, satay, mie kocok, and burgers or Taiwanese fried chicken. This spot becomes so frequented by many in weekends and might be hard to navigate around, however the experience should be interesting. Aside from food, there are also plenty of other activities for family and kids to try while visiting Floating Market. Kids can learn how to feed animals from swans, turtles, and also lambs; while also witnessing so many rabbits hopping around! 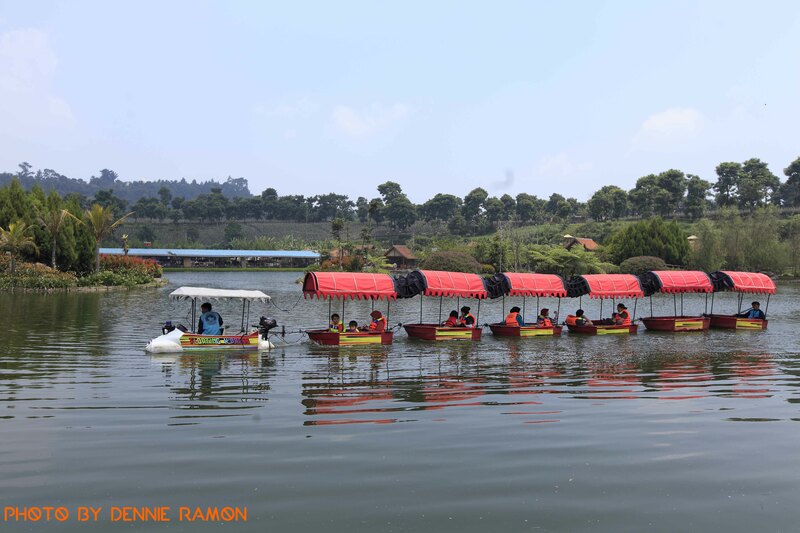 Quite recently, to add more fun from eel fishing or flying fox, Floating Market Lembang just built a really elaborated train miniatures that would make anyone impress with the scale. It’s a good change of view for the visitors of Lembang now and it’s good to know that there are more options for your family day out in weekends. 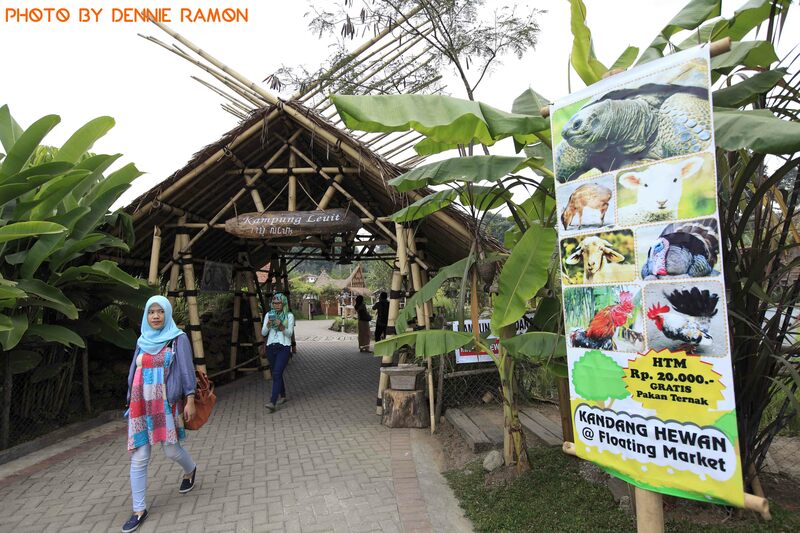 It appears that with so many room to improve, Floating Market Lembang will continue to show its versatility by putting up something new from time to time. Enjoy your time there! Download it here via SCOOP! Your trip to Bandung will never complete unless if you bring oleh-oleh for family back home. Here is the assorted list of our favorite choices and for you to try as well. As a city designated for tourism, everything in Bandung becomes more vibrant than ever. Aside from the sprouting resorts, hotels, restaurants, and places of interest; the oleh-oleh shops become an integral part of the city as well. Among so many, we decided to squeeze it into our four latest favorites overlooking both the old guards and something new for you. Staying faithful since it first appeared in 1946, Bawean – or formerly known as Sweetheart, has always been my favorite. 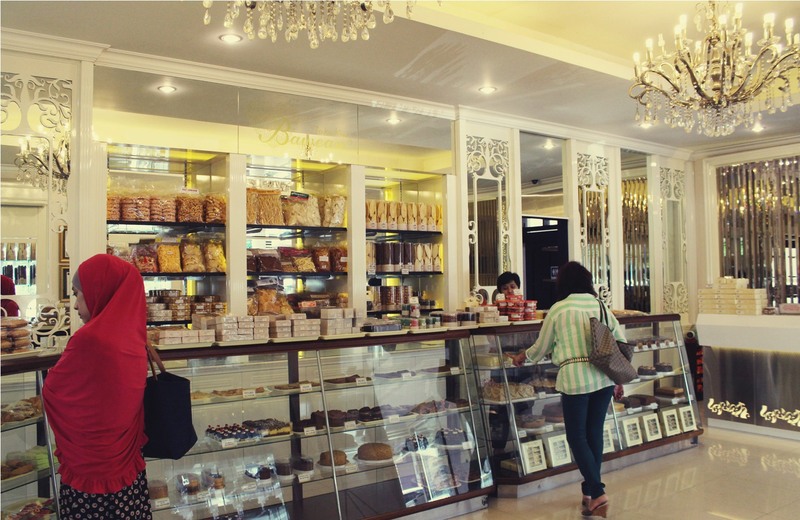 Classic choices from mocha tart, lapis malang, nougat tart, and the most stunning piece of art – the chocolate wafers shaped like gold bullions are the must-try here. Quite recently Bawean just opened their brand of restaurant as well still nearby the original shop. The prices may be a bit premium for Bandung but the pride, the standard, and the classic values are something to be held that high. Passing by the floating market part of Floating Market Lembang, you will certainly not miss this banana cake shop that sells quite similar thing with the world famous Tokyo Banana. The spongy soft cake in banana shape is another interesting choice of oleh-oleh from Bandung – or in this case, Lembang. The banana came in the same shape but different coating of flavors. They came in packages so it’ll be both convenient for you to share on your trip back or as oleh-oleh. 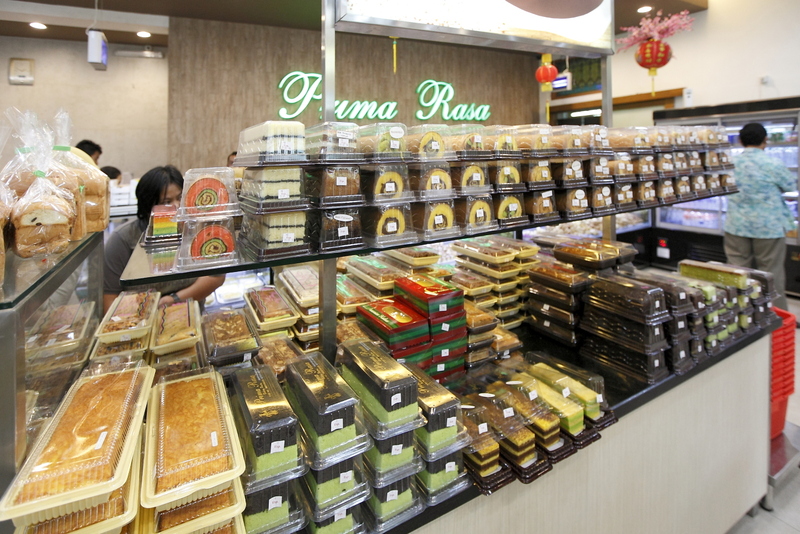 Prima Rasa is the powerhouse of oleh-oleh shop from Bandung, peered directly from the likes of Kartika Rasa or Amanda. I remember in the 1990s that it used to be a small and charming classic cake shop in a quiet neighborhood. Quite surprisingly since almost a decade ago, it has been transforming into one of the best oleh-oleh shop in Bandung and attracting so many visitors and small businesses alike. Its take on brownies and other affordable yet flavorful cakes are the among the must-not-miss list whenever you came to the city. 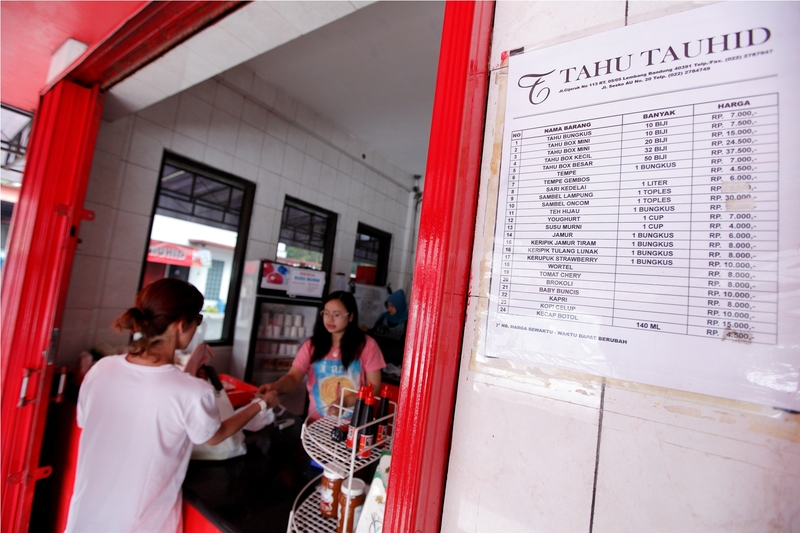 Lembang may be known for its tahu susu (milk tofu) shops, but Tahu Tauhid is clearly the biggest among all in tofu competition there. Started modestly as a home business, this tofu mogul has been expanding itself within the past few years and become the icon of Lembang itself. The production line is an elaborated one and therefore even if a throng of tourists and tofu enthusiasts are coming, they can still efficiently serve everyone and as you return home, the juicy fresh tofu coming from the best soybeans will clearly color your palate as you drench it with sambal kecap. The long standing, classic Sheraton Bandung Hotel & Towers has just recently completed a huge transformation and Venture decided to unravel new mysteries from its new, rejuvenated charms. I remember the time when Sheraton Bandung starts their operation in the 1990s. It was the time when there were only less than a handful of five-star hotels in the city, or if by my knowledge that time, perhaps it might only be Sheraton. Finally the defining moment came as I decided to give this wonderful hotel my fourth visit and the first one with its new look. Sheraton Bandung is conveniently located upon slopes of Dago. While many hotels are now competing nearby the city center, it is perhaps only Sheraton who dared itself challenging the hegemony from uphill. Its short distance to the city’s natural places of interest is also one of the advantages. 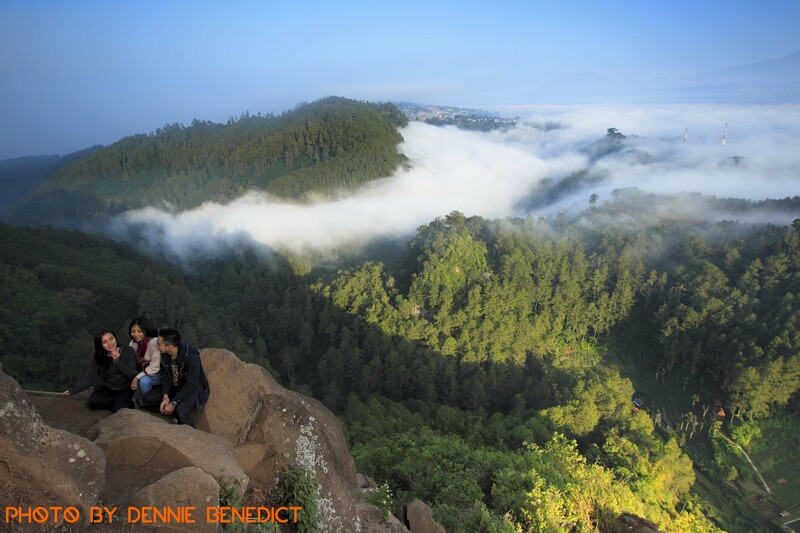 The route further uphill from Sheraton Bandung leads to the national park – Taman Hutan Raya Ir. H. Juanda, a golf course, spots overlooking the city and also the recently discovered Tebing Keraton. The city center also is highly accessible and it’s easy to reach the shopping centers like Jalan Dago or Jalan Riau from up here as well or even the landmarks of the older part of Bandung further down. What actually impresses everyone with the current state of Sheraton Bandung is the transformation they have undertaken quite recently. While the classic facade of the buildings is still maintained, the style is drastically changed – bringing the up-to-date style and an uplifting mood with it, quite in contrast with the 1990s style with what I would call as the ‘hunting lodge’ style with wooden color and relaxing mood. 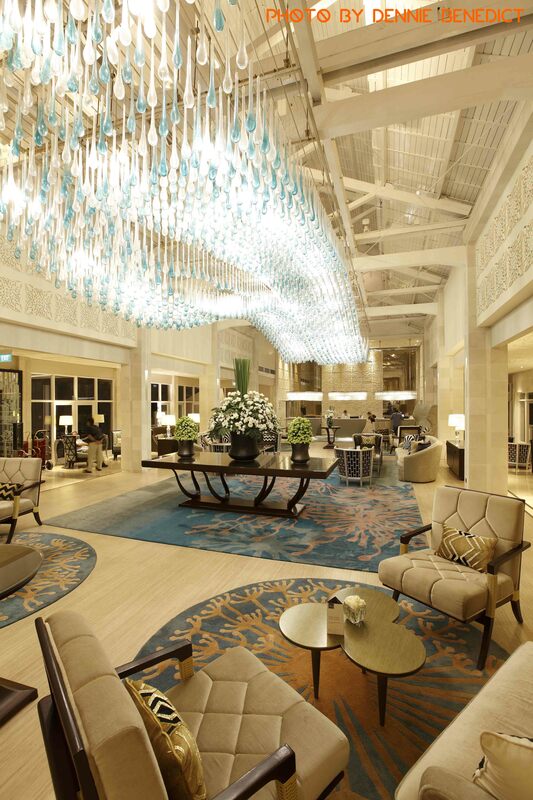 Upon entering the lobby, you can clearly see how impressive Sheraton Bandung has become now. The new color tone and furniture choice freshen up any weary traveler coming to the hotel, while the intricate blue crystals on the ceilings brings an inexplicable commanding yet majestic aura in the lobby. Further in the back, the newly designed lounge gives away the same characteristics as well, but the best part of this section is the balcony overseeing the green valleys of Bandung. 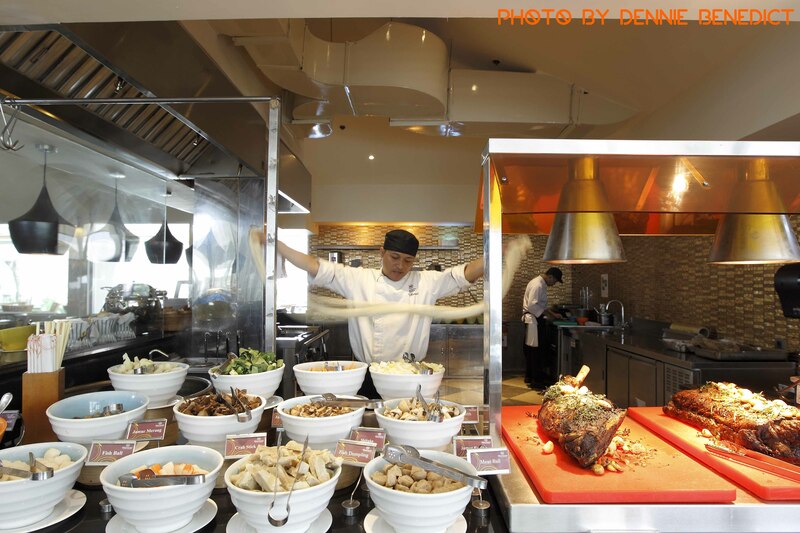 Feast, as its flagship all-day dining restaurant, now serves even more colors on the buffet tables. During one of my encounters with Starwood’s high ranking chef Mr Lamberto Valdez, he explained to me that Sheraton Bandung now adapts serious change with its F&B choices. Not only that he put his Mexican touch with a special section of guacamole and tomato salsa, the rest become pretty serious as well with choices of fresh sushi and sashimi, carving table, bottled fresh juices, and the grilling section. Feast is also peered with Samsara as the hotel’s signature lounge right in the lobby and the new kid on the block, Toastina – Sheraton Bandung’s pastry and coffee house. Describing the room may be the hardest part since Sheraton Bandung has embedded so many traits within its 156 guest rooms of any class. Not only that it is equipped with the most current, refreshing look of elegant taste with floral theme in line with the city’s nickname as Kota Kembang; each room experiences the natural light coming in all day and with different views as well – starting from the pool, the garden, and the lush greenery from the valleys. It is a guaranteed relaxing moment while staying here, especially when sinking in deep upon the Sheraton Sweet Sleeper Bed with its plush mattress, comfy pillows, soft blanket, and the duvet. 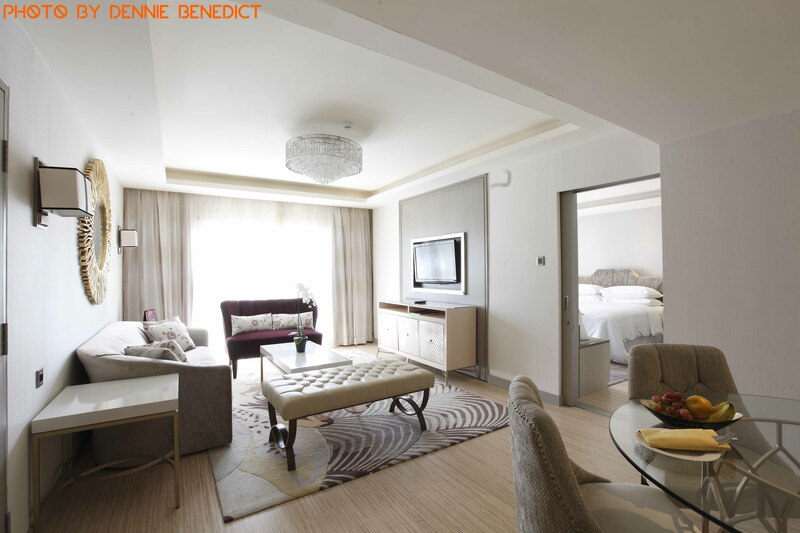 Needless to mention, Sheraton Bandung provides other facilities and activities as well. Upon its vast garden, which at times is frequently used for outdoor weddings, Sheraton Bandung built a special children’s playground and the prancing ponies to accompany the kids. Adults can enjoy their time as well swimming with the kids, keeping up the shape in the gym, and lastly, experiencing the all new Shine Spa and sauna. With all these rejuvenated details ready to indulge you, it clearly becomes a best choice for those of you who decide to seek fresh air on the upper side of the city or a more adventurous holiday from the heights of Dago or even as far as Lembang. For that, the starting point starts here at Sheraton Bandung Hotel & Towers. Bandung’s current sensation is not about a new place to hang out or its famed street food or even its mayor’s interesting initiatives. Tebing Keraton, the newly found landmark with a stunning view have gone viral for some time now and we went there to see what the hype is all about. The northern hills of Bandung have always been like a mystery to me. For many years, I sought refuge in-between the ‘more developed’ part of the hills that has good restaurants or cafés with a great view to the city, a bit of jungle trekking at Taman Hutan Raya, some paintball wars upon the slopes of Dago Giri, or even just seeking for fresh air. Also, the very hills that encircle Bandung have undergone so many developments from restaurants to real estates and there’s always another alternative route either revived or recently built heading to Lembang and Maribaya. It feels like an open canvass for so many improvements and there’s always something new coming out from here. With anything goes viral for the past few years, it’s not hard to find whenever there’s something new from Bandung. Tebing Keraton (Keraton Cliff), although as Javanese as it may sound, is the trending topic for the past few months and its spectacular images shared by people intrigued us to try and test the experience ourselves. We headed out fresh since 5am from the upper side of Jalan Dago to catch the sunrise. It is imperative for the travelers heading this way to leave a bit early and avoid weekend if possible since this cliff is mostly frequented during these days. The direction is pretty much straightforward but as a first timer, you might rather worry with the distance and the road condition uphill. Heading out with sports utility vehicle or motorcycle is more advisable than low height sedan or fully-packed family car. The easy direction is to head left to Taman Hutan Raya and upon the next intersection, head right to Bukit Pakar Utara, since heading left would lead you to Maribaya. Continue to head uphill for several kilometers until you reach Warung Bandrek Dago – the cyclers famous watering hole en route back downhill. Please note that the road heading up since Bukit Pakar Utara would be intermittently in-between good and bad tarmac, thus the reason why to use special kind of transportation means. Not far from Warung Bandrek Dago, you will find another branch on the road and try to look for a semi-permanent signage telling that heading left will lead you to Tebing Keraton. By the way, we encountered a minor hiccup from several shy people who offered ‘transportation service’ by motorcycle under pretext that the road ahead is impassable by car. So you have to man up and speak confidently, noting that you are a regular and they will rest their case in an instant. After a few kilometers from the last intersection, the local officials will any passersby for an affordable entrance fee and then they will lead you to where you should park. I was actually quite happy to see how the locals empower themselves to organize everything and mobilize the citizens of the nearby settlement to accommodate the visitors. The parking lot is sufficient, people are ready to assist, there are warungs nearby for snacks and coffee, clean toilets, and also a modest security measures at Tebing Keraton itself. Now it’s time to take a little stroll! As soon as you have paid the fares, tread the winding path for around a hundred meter to reach the spot. Finally, you have arrived! Tebing Keraton feels an open space like an observation deck over the skyscrapers around the globe. 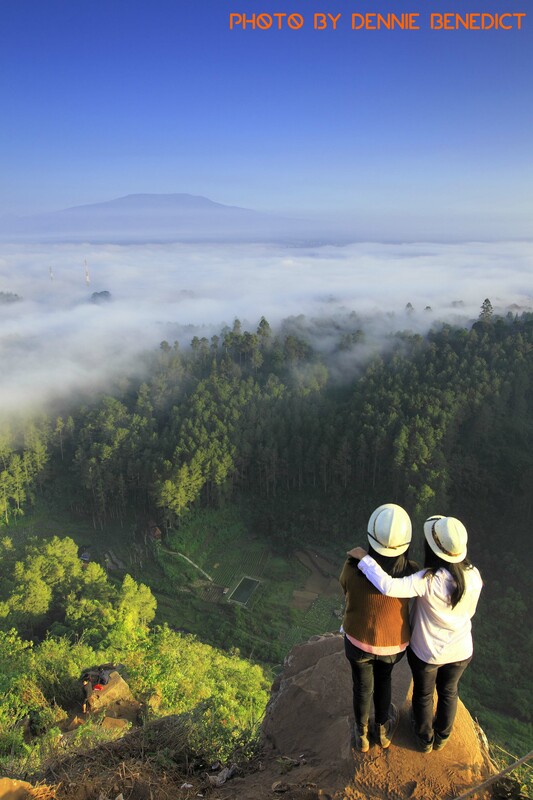 There you will witness the stunning 180 degrees of view overlooking Mount Tangkubanperahu far in the north and also the valleys, the forests, the pine trees, and the morning mist as far as the eyes can see. We arrived at least around a half an hour earlier before the sunrise and the crowds were anticipating the moment so much like I did. Finally at around 6.15, the sun rose spectacularly and it was the moment where true photographers would fire the shutters, teenagers do their selfies, while the rest of us enjoying the mesmerizing moment solemnly. I decided to enjoy the moment longer than the rest of the people until the blue sky arises from the horizon. The mist was eventually disappearing and the vast greenery became unveiled, clearing the view of so many small things that we would deem as beauty from such height. Such magnificence! On my way back, after a cup of coffee in a nearby warung, I head back to the city with an uplifting spirit and reminiscing already such a grand moment that I rarely feel in city life. Perhaps one day, it is time to witness the sunset from there but I’d wake up early again to repeat such experience.